Stoisko Fiata na 39 Salonie w Paryżu. Nadwozie modelu 1900, podobnie jak i 1400-ki na bazie której powstał, jest samonośne. Odznacza się rozstawem osi 265 cm i długością 430,5 cm. W klasycznym układzie napędowym znalazł się silnik R4-1,9 o mocy 60/70/80 KM. Jak przystało na Coupé, V8 konstruowano z myślą o wielkim wyczynie. Dlatego też zastosowano w nim niezależne zawieszenie (po raz pierwszy w Fiacie) i centralne mocowanie kół, a nawet charakterystyczny dla wozów wyścigowych rodzaj wlewu paliwa, umożliwiający szybkie tankowanie. Z czasem moc silnika zwiększono do 115 KM, a nieco później do 127 KM (przy 6600 obr/min). 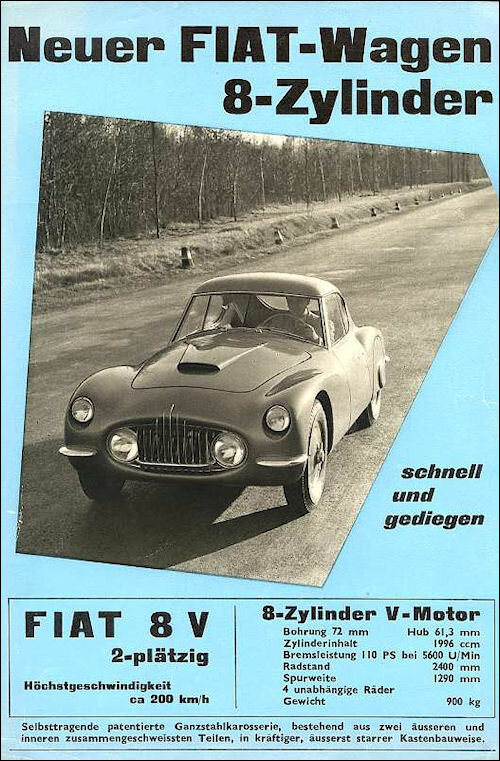 Modeli V8 powstało zaledwie 114 sztuk. 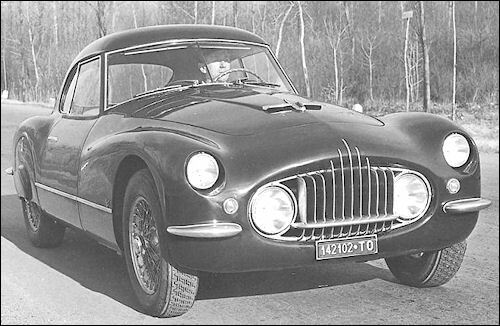 Prawie tyle samo jego wersji zaoferowały firmy Ghia, Siata, Viotti, Vignale, Zagato i Pininfarina. 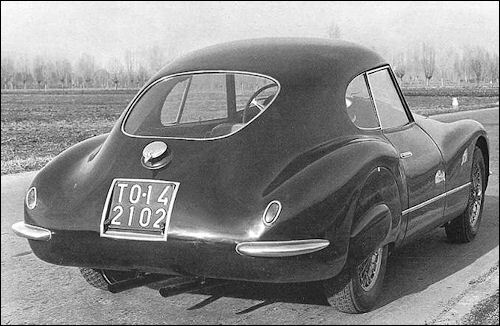 "Otto vu" (8V) ma 105-konny, 2-litrowy silnik zapewniający prędkość maksymalną 190 km/h. Początkowo auto miało być montowane w firmie Siata, ale w końcu składano je w prototypowni Fiata. Odznacza się rozstawem osi 2,4 m, długością 4,04 m, szerokością 1,57 m oraz wysokością 1,29 m. Toczy się na oponach o wymiarze 165/80-16 i waży 997 kg. Nadwozie jest stalowe, samonośne. Dwumiejscowe auto konstruowane zostało pod kierunkiem słynnego Dante Giacosa. 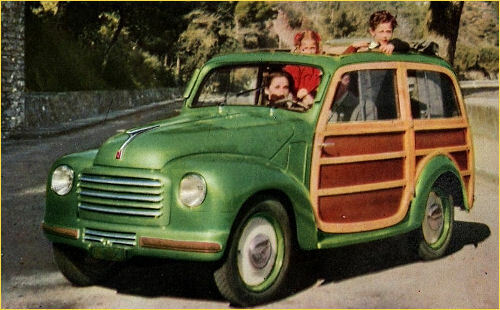 Kierunkowskazy migowe w 500 i 1400/1900. Giardiniera - end of prod. 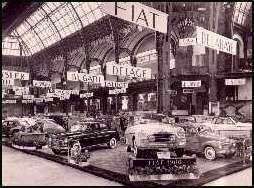 1900 Granluce at Paris Motor Show. 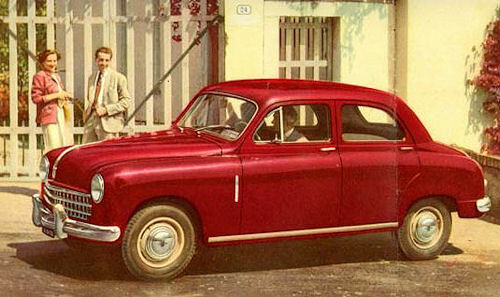 In the Italian industry the new "1900"-c.c. 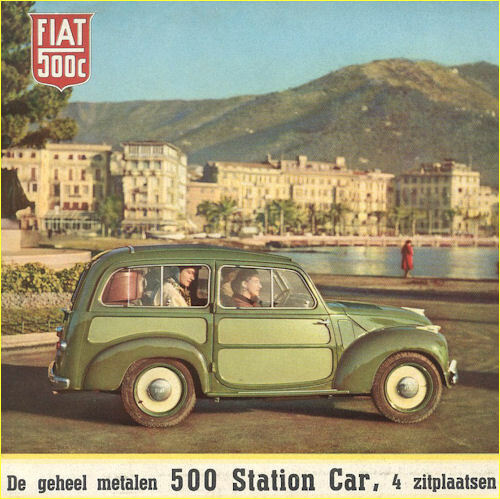 Fiat is difficult to distinguish from the "1400" model, the external differences being confined to a more massive radiator grille and a chromium "flash" along the side of the front wing and doors. 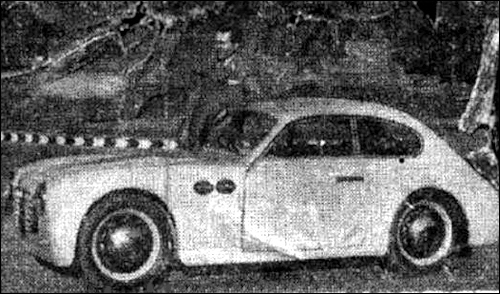 The 82-mm. cylinder bore also remains the same as on the "1400", but the stroke is increased from 66 mm. to 90 mm., the stroke/bore ratio being thereby converted from 0.805 : 1 to 1.1 : 1. 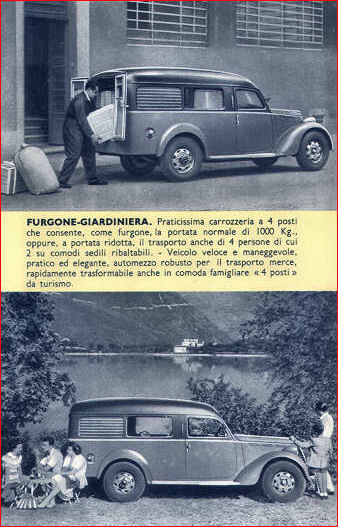 This change has been effected without any major modification in the engine layout, but whereas both swept volume and brake h.p. have increased by a little over one-third, the maximum torque has gone up by 50 per cent. 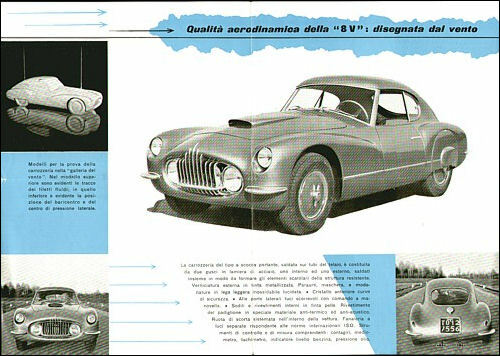 As the direct fourth drive ratio remains unchanged there has been a very notable increase in acceleration and hill climbing ability on this speed and in order still further to extend the range of the car's performance a fifth (overdrive) ratio is introduced which gives 21.3 m.p.h. at 1,000 r.p.m. Taking into account the difference in engine stroke, it is interesting to note that at 75 m.p.h. 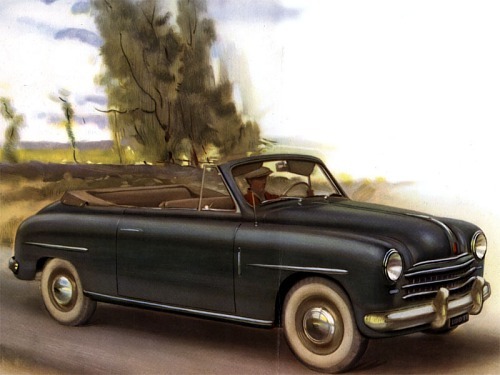 (the maximum speed of the 1400 model) the piston speed is 2,040 ft. per min. whilst on the 1900 model, it is 2,080 ft. per min. on fifth speed. 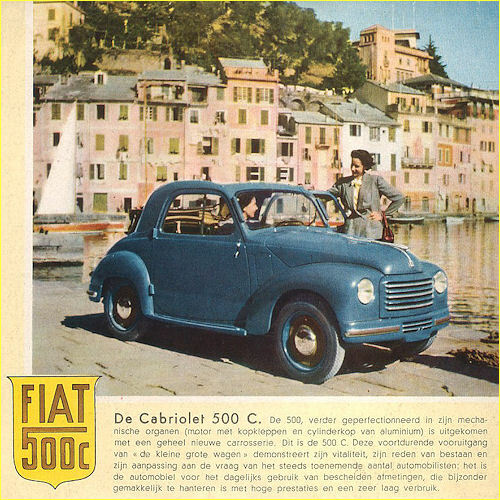 The introduction of a five-speed gearbox has been facilitated by the established Fiat practice of carrying one pair of gear wheels behind the main gearbox casting and within the extension normally used to shorten the propeller shaft. On the "1900" therefore it has only been necessary to put two pairs of gear wheels in this extension, the box proper remaining unchanged. 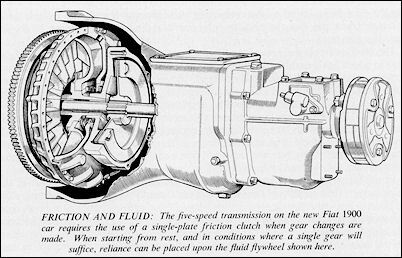 The transmission arrangements generally are unique amongst modern automobiles although the system is as used firstly by the Daimler Co., and subsequently by Singers, when they wished to combine a fluid flywheel with a spur type gearbox. 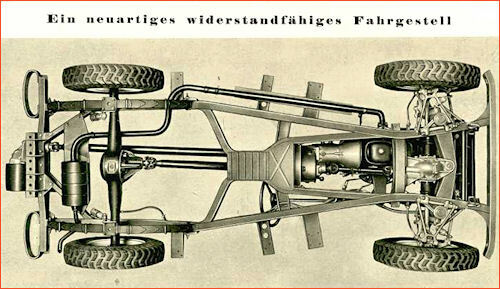 The car has a friction-type clutch interposed between the fluid flywheel and the gearbox. A gear can thus be engaged when the car is at rest and when the fluid coupling is virtually "solid", as it is at over 1,000 r.p.m. 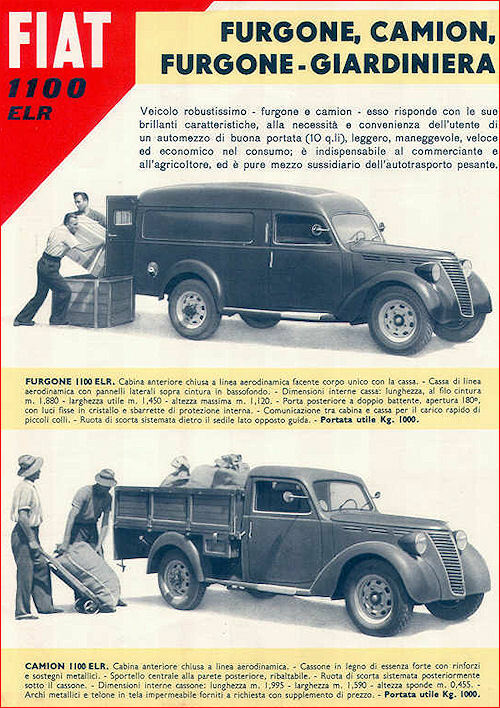 Although this scheme does not facilitate gear changing it goes far towards eliminating the use of the clutch in traffic and in conjunction with a car having a high torque/weight ratio it is a very rational solution to many of the problems which concern a designer thinking of European requirements. 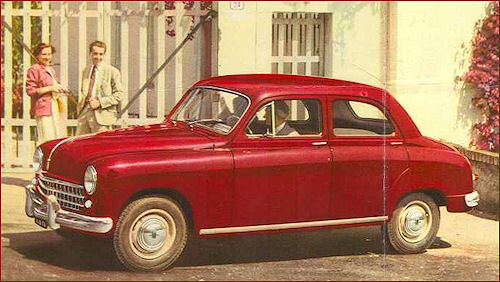 With few minor exceptions the remainder of the car is unchanged from the "1400" model which was described in "The Motor" Year Book 1951, but a modification in the Lockheed brake system has inereased the overall efficiency thereof and thereby reduced the pedal pressure needed for a given stop. The most interesting item of equipment is an instrument called the Tachimedion which records both current and average speed. Weight is increased by about 801b.-a negligible figure in relation to the greater engine size. 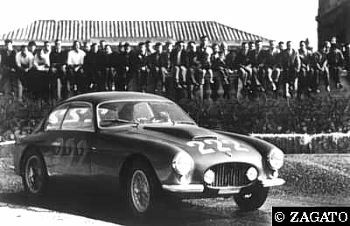 The V.8 model, which was introduced at the Geneva Show of 1952, is being built in very small quantities expressly for competition purposes. The power unit has a bore and stroke of 72 x 61.3 mm., and a compression ratio of 8.5 : 1 gives 110 b.h.p. at 6,000 r.p.m., corresponding with a b.m.e.p. of 119 lb. per sq. in. at the peak of the h.p. curve. This iriodest figure is explained by the use of somewhat small vertically-mounted overhead valves operated through pushrods and rockers from a single central camshaft. 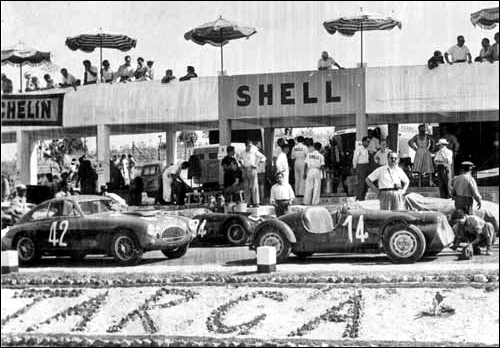 The inlet manifolds lie within, and the exhaust manifolds on each outer side of, the cylinder blocks, the cylinder axes being disposed at an included angle of 70 deg. This gives greater compactness than would be the case if the conventional 90 deg. 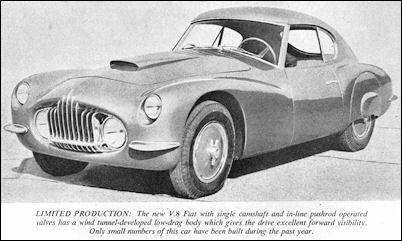 V.8 type were employed and the narrowness of the engine is accented by the very sharp upsweep of the exhaust ports and manifolds. In order to restore even firing impulses the connecting rods are not placed side by side on a common crank pin, but the pins for each pair of cylinders are offset by 10 deg. in opposite directions. 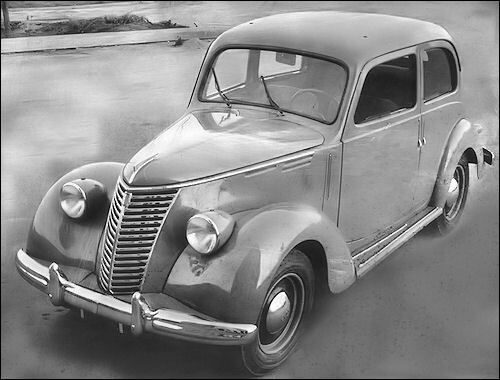 The all-round compactness of the engine is reflected in the size and shape of the vehicle which has a combined body and chassis unit. 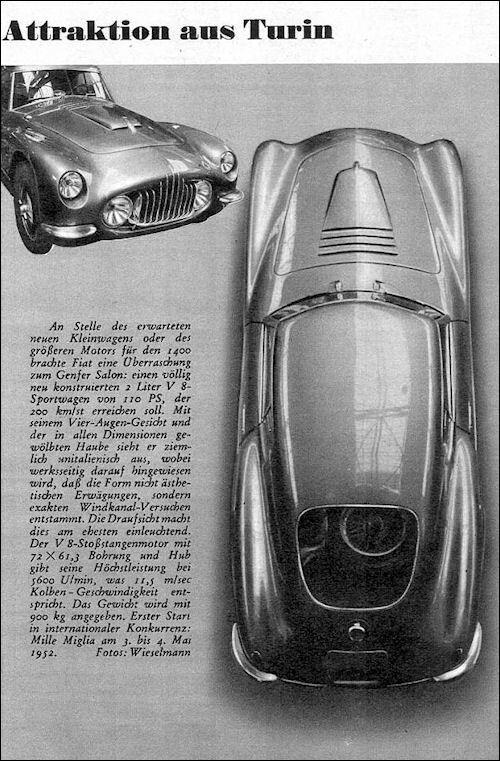 The lines of the car have been developed in the wind tunnel so that despite the relatively modest h.p. a road speed approximately 125 m.p.h. is realized and with a claimed weight of under 19,1 cwt. the maximum speed is matched by excellent acceleration. 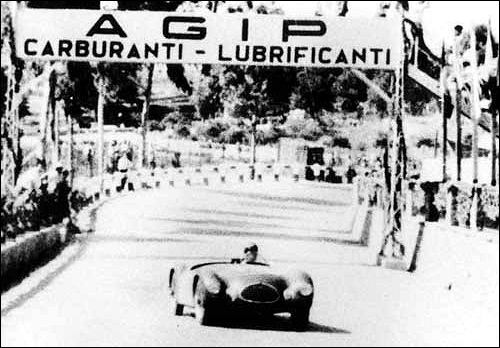 The V.8 Fiat is one of the increasing number of cars to use independent rear suspension, coil springs being employed in conjunction with wishbones which give a semi-swing axle effect. The rear halfshafts in this arrangement are provided with double universal joints between the bevel box and the hub. A conventional transmission with four forward speeds is used. 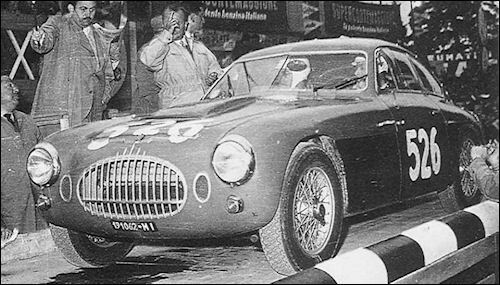 #14 1100 Sport (Armando Soldano) at Targa Florio. 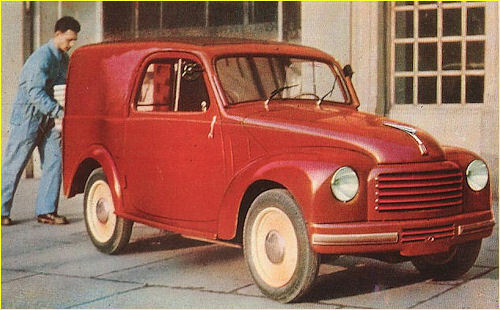 Fiat Marino 750 - Marino Brandoli. 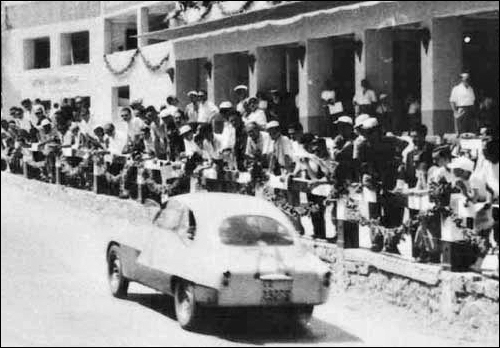 Fiat Roselli 1100 at Targa Florio. 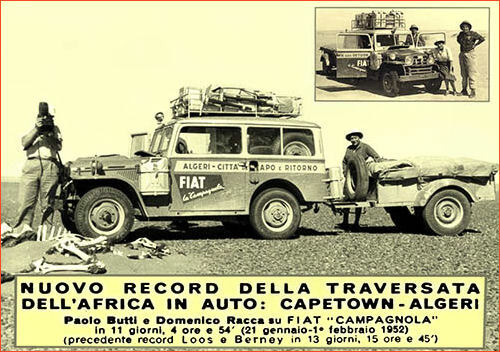 African rally from Cape Town to Algiers in December 1951 and January 1952. 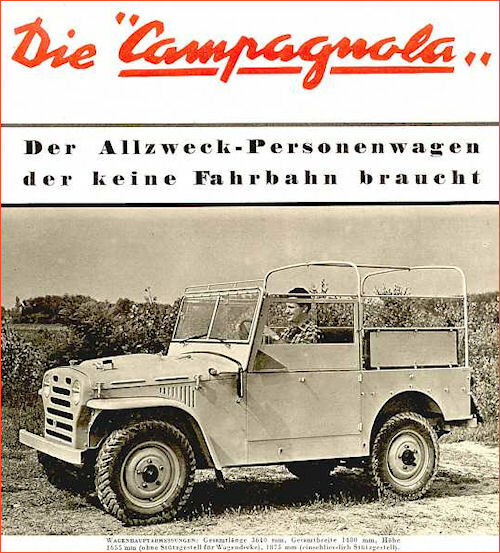 Italians Butti and Racca broke the record in eleven days four hours and fifty-four minutes with one of the first copies of the jeep Campagnola that Fiat has just launched at the fair of the Levant in Bari.